Long ago, the great wizard Merlin planted the seed that would become the peaceful world of Avalon. Now, though, Avalon is suffering from mysterious droughts. Then the very stars begin to lose their light, and it seems that the Lady of the Lake's dire predictions are about to come true. The fate of Avalon now rests with Tamwyn, a wandering wilderness guide; Elli, an apprentice priestess; and Scree, a young eagleman. One of them is the true heir of Merlin, the only person who can save Avalon . . . and one of them is the dreaded child of the Dark Prophecy, fated to destroy it. As in his acclaimed epic The Lost Years of Merlin, T. A. Barron has created a radiant, richly imagined world, full of high adventure and un-forgettable characters. T.A. 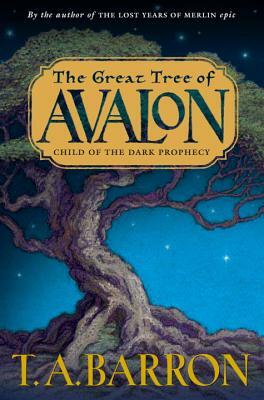 Barron is the award-winning author of fantasy novels such as The Lost Years of Merlin epic—soon to be a major motion picture. He serves on a variety of environmental and educational boards including The Nature Conservancy and The Land and Water Fund of the Rockies, and is the founder of a national award for heroic children. Following a life-changing decision to leave a successful business career to write full-time in 1990, Barron has written seventeen books, but is happiest when on the mountain trails with his wife, Currie, and their five children.